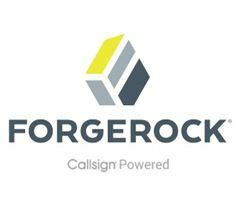 San Francisco/London – 27th March 2017: Callsign Inc., the leading digital authentication provider, today announced it has integrated its Intelligence Driven Authentication™ (IDA) with the ForgeRock® Identity Platform™. With the joint solution, enterprises will be able to deliver authentication capabilities to devices and individuals in novel ways, providing a unique combination of user experience and security. Enterprises in banking, retail, media, utilities, Internet of Things (IoT) and healthcare can benefit from seamless and adaptive authentication, paired with a massive-scale identity management solution. The initial integration is available across the Access Management and Identity Management modules within the ForgeRock Identity Platform, enabling strong, contextual authentication for individuals and devices. Callsign’s unique IDA solution delivers adaptive authentication that takes into consideration real-time risk context, removing the reliance on passwords and security questions. Through its Neural Engine, IDA instantly fuses and analyses hundreds of data points around any web or mobile session. The US company which chose to house its main HQ in the heart of London’s financial district, helps businesses pinpoint threats by introducing deep learning insights derived from multiple layers of user recognition based upon their location, behaviour, device and biometrics. The ForgeRock Identity Platform is proven for managing identities on new cloud, social and IoT services, enabling organisations to build trusted relationships with individuals, connected things and devices. Full details of the integration will be made available shortly to Callsign customers via the Callsign Developer Portal.